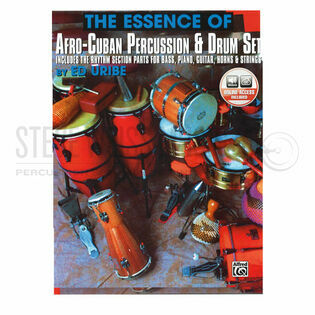 The Essence of Afro-Cuban Percussion & Drum Set by Ed Uribe provides an in-depth study (324 pages) of all the percussion instruments, rhythms and song styles of Afro-Cuban music, along with their applications to the drum set. 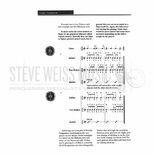 Detailed technical studies of each instrument are presented along with notations of many rhythm styles. The entire rhythm section (parts for bass, piano, horn section, string section, tres, and guitar) is also studied in detail. The book comes with a code for access to online materials that include performances of each percussion instrument, drum set, all rhythm section instruments, as well as examples of all musical styles with full instrumentation in score form. This is a great book. I've used it to review conga, timbales, and bongos for myself and so far have found it a wealth of knowledge. Historical info, exercises and applications abound. I can't wait to dig in further and use with it with my students too.